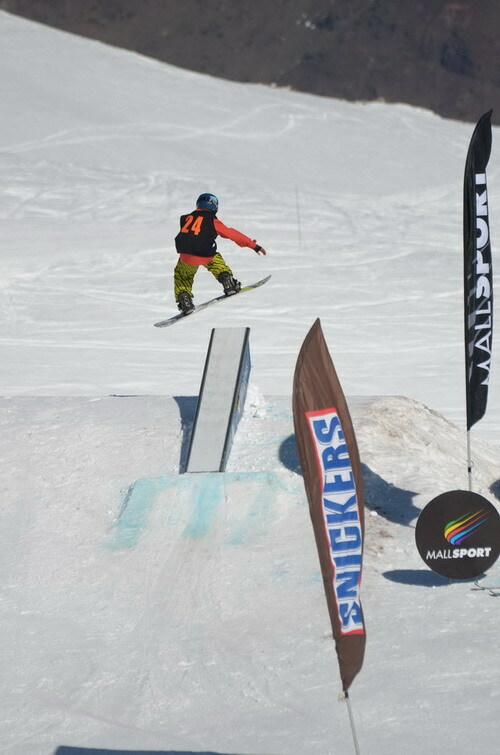 Chilean rising talent Andre Escobar wins the third edition of Mall Sport South America Rookie Fest in Valle Nevado, Chile, a competition aimed to develop the future South American snowboard talents and introduce the beauty of the Andes to young riders from different cultures and countries. 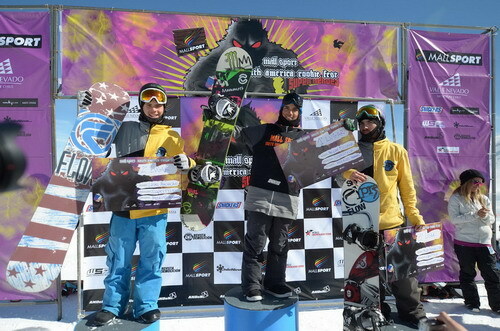 2012 Mall Sport South America Rookie Fest – Valle Nevado, Chile from Board.tv on Vimeo. The event included a 2Star Slopestyle competition, backcountry experience and a skate session in Santiago de Chile. Many special guests show up at the event. Jamie Anderson, X Games slopestyle champion, enjoyed the slopestyle contest, Spiro Razis, south america skateboard legend, was in charge for the skate session. Finally the rookies took part in a two days of backcountry program enjoying fresh powder, photo-shooting and filming with professional snowboarders Manuel Diaz and international Pro rider DCP. 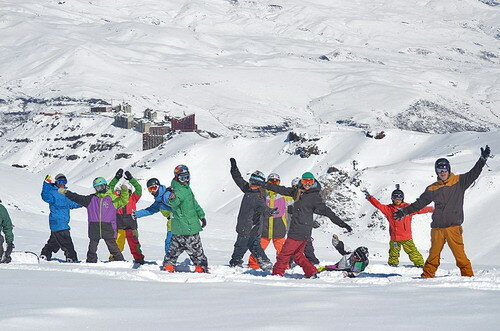 Riders from Chile, Brazil, Argentina, Canada and United States joined the 2012 edition of Mall Sport South America Rookie Fest in Valle Nevado. 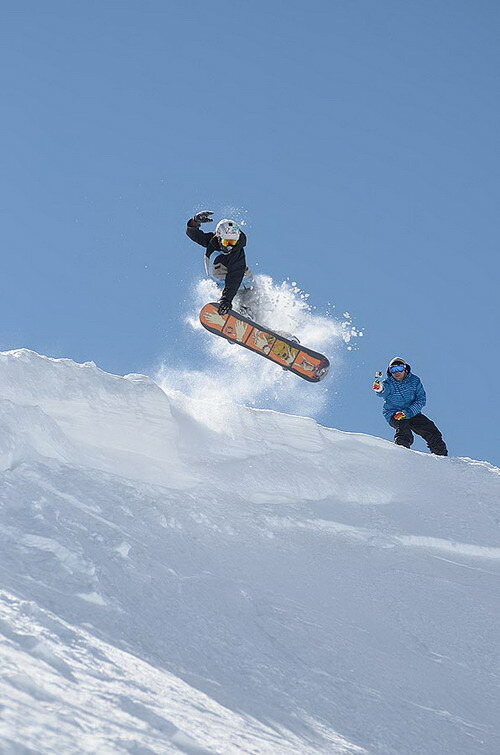 The snow and weather conditions were great, enabling the organization to make an excellent powder sessions during the first two days along with a great snowpark shaping for the 2Star slopestyle competition on Sunday, August 26. According to the partecipants the event was great. “We had the opportunity to enjoy four days walking in Valle Nevado with pro riders and rookies from other countries: this for us makes a dream come true!” said Federico Chiaradio from Argentina, winner of the 2011 edition in the grom category. The most amazing thing of the event was the great vibrations where all the famouse riders interacted with the youngs, telling stories of their lives and teachings these young riders coming from different countries.